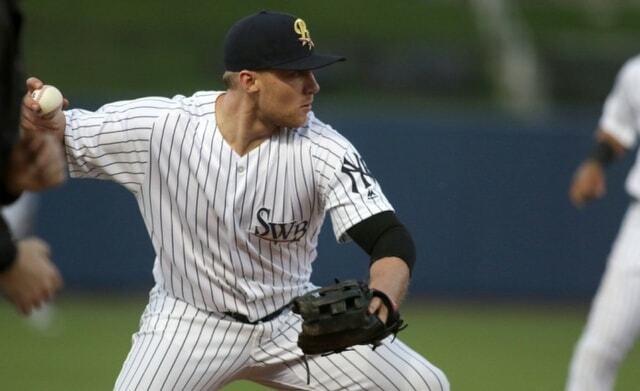 The Yankees optioned LHP Ryan Bollinger to Double-A Trenton following last night’s game, the team announced. That presumably paves the way for RHP Tommy Kahnle to return tomorrow. Marc Carig wrote a great story on Bollinger’s career and travels. 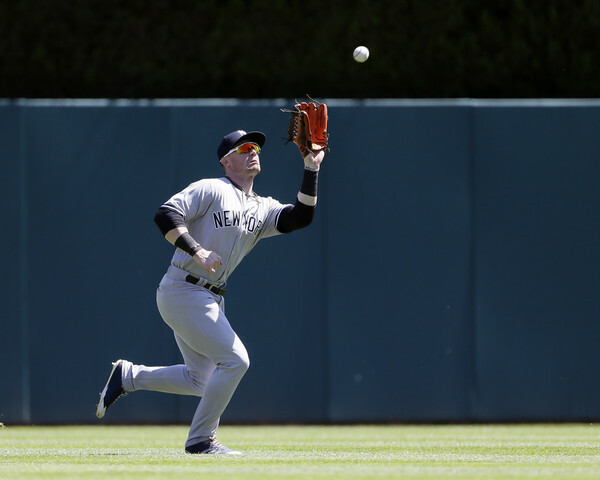 OF Billy McKinney has been activated off the disabled list and optioned to Triple-A Scranton, the Yankees announced. He’d been out with a shoulder injury since crashing into the wall during the opening series in Toronto. 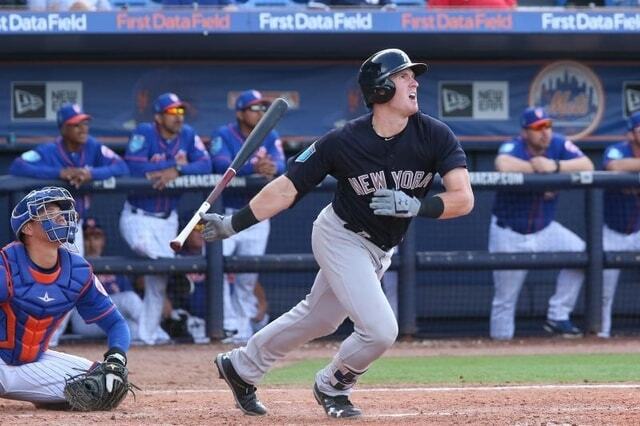 McKinney went 7-for-37 (.189) in eleven rehab games. The Yankees have signed C Wilkin Castillo out of an independent league, the team announced. He’s been assigned to Triple-A Scranton. Castillo spent time in the system last year and is a utility guy who can play the four corner positions as well as catch. I forgot to link this the other day, but here’s video of RHP Clarke Schmidt throwing a simulated game earlier this week. 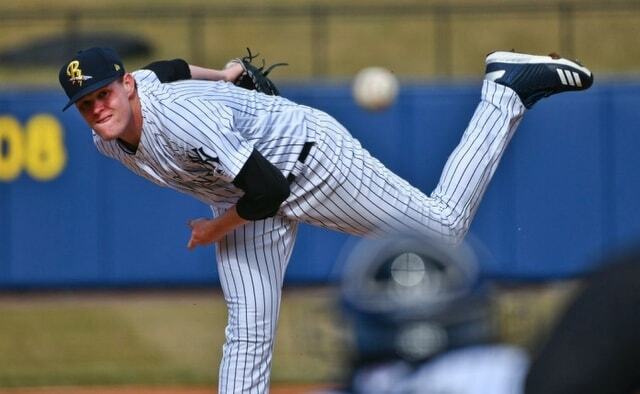 Schmidt faced hitters for the first time as part of his Tommy John surgery rehab Tuesday. He’s expected to join a short season league team in a few weeks. 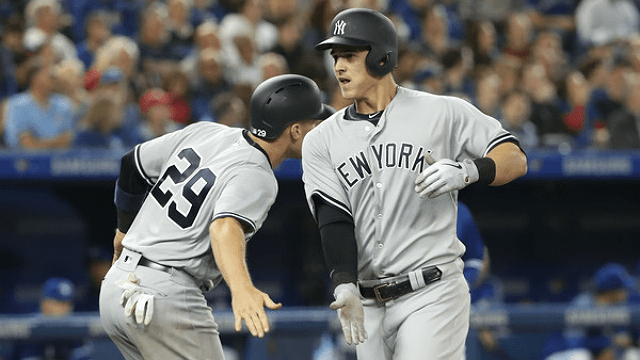 Even with last night’s loss, the Yankees totally aced what was, on paper, their toughest stretch of the season. They went 18-3 in consecutive games against the Blue Jays, Twins, Angels, Astros, Indians, and Red Sox. 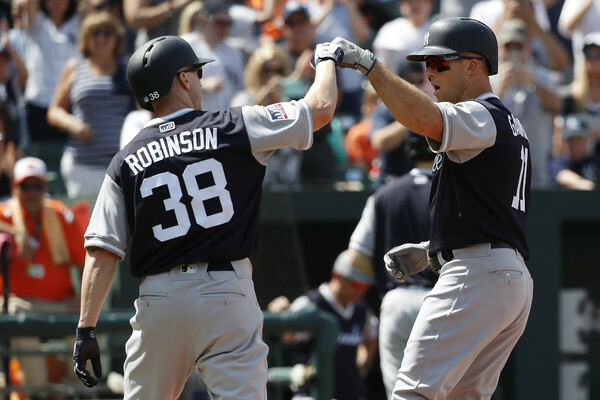 Basically the six best non-Yankees teams in the American League. Going 12-9 or 13-8 during that stretch would’ve been cool. 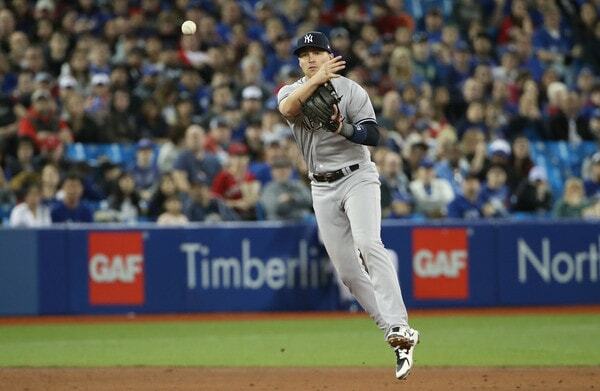 The Yankees went 18-3. Pretty great. 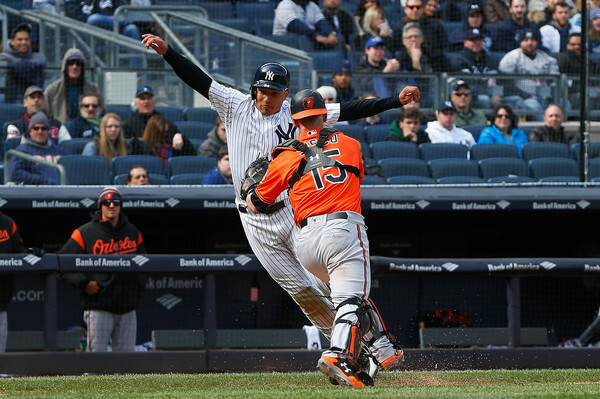 Of course, going 18-3 against those six teams does not mean the Yankees can rest on their laurels. 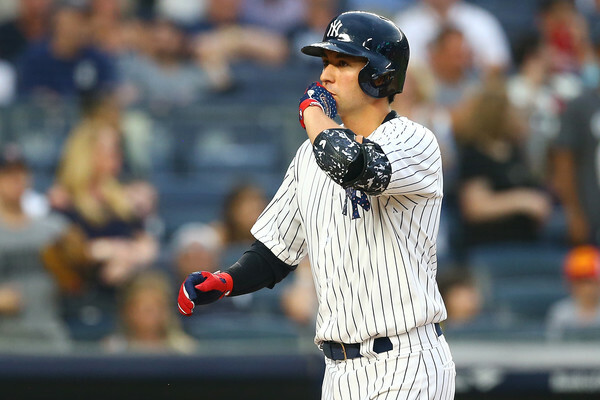 The Athletics are in town for a three-game series this weekend and while they’ve lost three straight games and seven of their last eleven games, they are perfectly capable of making like miserable for the Yankees. The schedule does get easier now. The games won’t win themselves though. 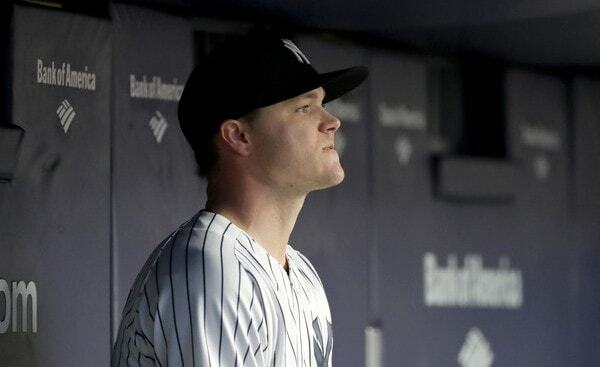 Tonight, Sonny Gray gets to face his former team for the first time, and the same applies to Dustin Fowler. Those two were traded for each other last year. Fowler successfully rehabbed his knee injury, spent a few weeks in Triple-A to start the season, and was called up earlier this week. 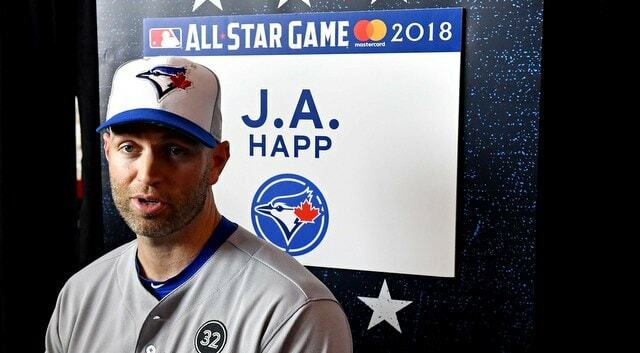 I hope he does well against every team except the Yankees. Hard not to root for Fowler after what he went through. Here are the starting lineups. It is cool and cloudy in New York today, and there is rain in the forecast later tonight. Much later tonight, so it won’t be a problem for the game. Tomorrow’s game though? That’s another matter. Anyway, tonight’s game will begin at 7:05pm ET, and you can watch on YES locally and MLB Network nationally. Enjoy the game. 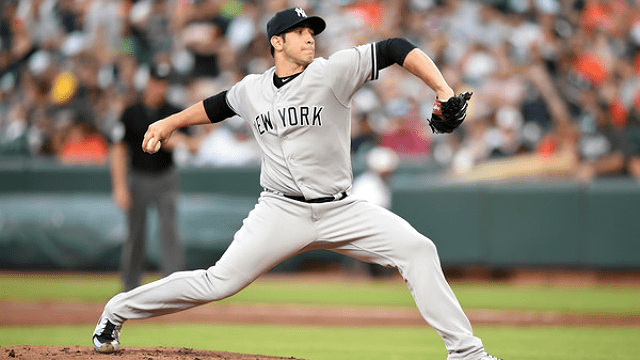 Injury Updates: Tommy Kahnle (shoulder, biceps) could rejoin the Yankees at the end of the upcoming road trip, according to Aaron Boone. 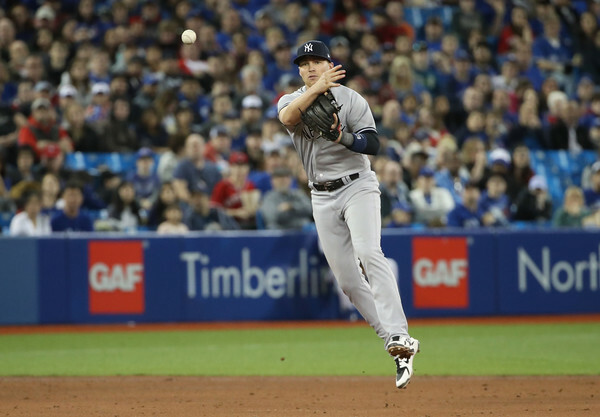 That puts him about two weeks away … Brandon Drury (migraines) is progressing but is not yet where he needs to be. 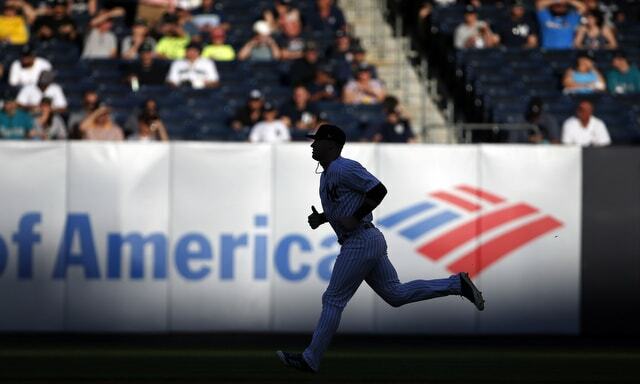 His 20-day rehab window ends Tuesday, so the Yankees will have to make a decision about activating him or pulling him off rehab pretty soon here … Greg Bird (ankle) and Billy McKinney (shoulder) will have their rehab assignments moved up to Double-A Trenton next week.